The 16-page research paper, which a top BLS official said does not represent the views of the agency, was published in BLS’ Monthly Labor Review, which the agency’s website describes as a journal in which BLS staff and the private sector offer research on fields including labor, the economy and more. “While we do use ATA data to identify one segment of the trucking labor market (long-distance truckload motor freight) that has experienced high and persistent turnover rates for decades, the overall picture is consistent with a market in which labor supply responds to increasing labor demand over time, and a deeper look does not find evidence of a secular shortage,” said the report, which was written by University of Minnesota economics professor Stephen Burks and Kristen Monaco, an associate commissioner for the Office of Compensation and Working Conditions at the BLS. That conclusion was disputed by ATA Chief Economist Bob Costello, who said the research paper’s contention that trucking was similar to other blue-collar occupations is incorrect. Did the driver shortage go away ... in 2008? It absolutely did. That was a severe recession. Other than that it’s been a systemic problem. For example, Costello said researchers had difficulty isolating the over-the-road segment of the industry. Transportation Research Board records show that Monaco chairs TRB’s Standing Committee on Trucking Industry Research and is a member of the TRB Trucking Freight Systems Group. 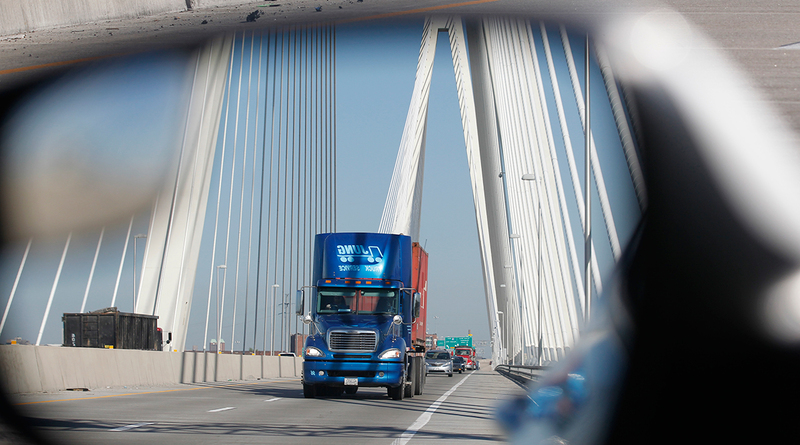 Burks chaired TRB’s Trucking Industry Research standing committee from 2014-17. From 1976-88 he was a tractor-trailer driver and freight handler, according to his resume. The two said they have been researching the trucking industry together for about 20 years, and presented a paper at TRB’s 2016 annual meeting that contained the same conclusions as this latest research paper. Costello said ATA researchers look at both the demand and supply sides of drivers to forecast driver shortage numbers. ATA began quantifying the driver shortage in 2005.